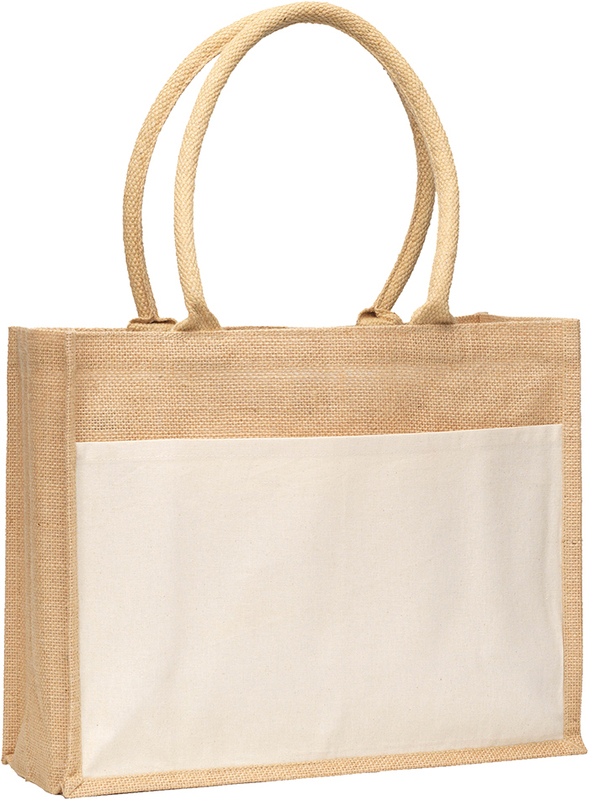 Description: Jute Tote Shopper bag with an added front 7oz cotton slip pocket and 60cm long rope handles. Made from 13 x 13 Jute with LDPE backing for added structure. 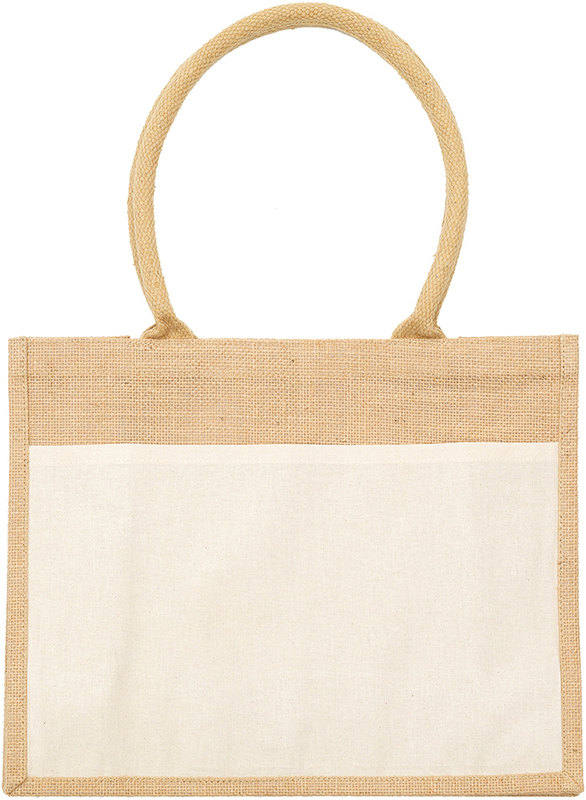 Materials: 13 x 13 Jute with LDPE backing & 7oz cotton (pocket).